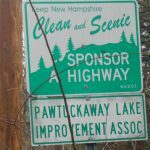 On Saturday, April 22—Earth Day—volunteers from the Pawtuckaway Lake Improvement Association gathered along a stretch of Route 156 to pick up trash along the highway. What better timing for this project? Now that the snows of winter have melted, the trash that lay hidden beneath their depths was highly visible, and therefore easier to spot and to remove. Twice a year, PLIA members gather on Route 156 to spend an hour or so fanning out along both sides of the highway between the signs bearing the organization’s name. It is a program of which the PLIA is proud, and is one way to give back to the community. 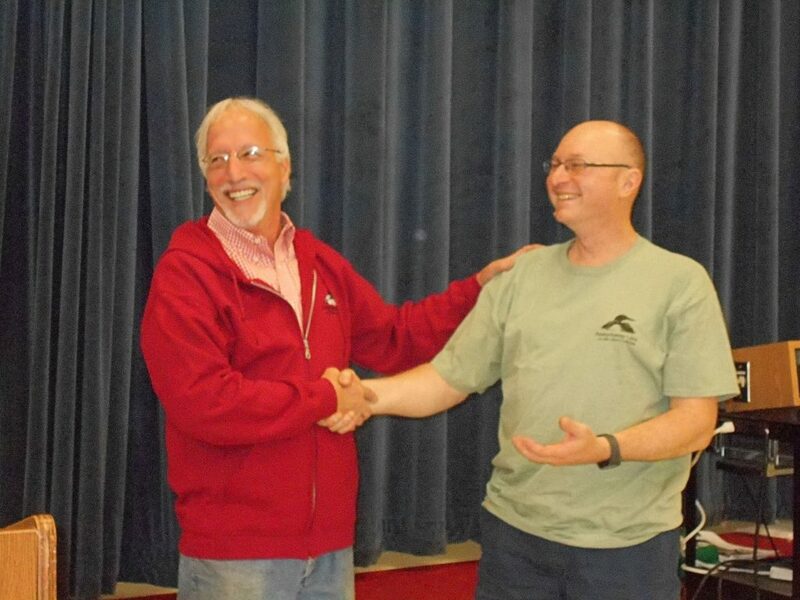 The Annual Meeting is May 20, 9:00 AM at the Nottingham Town Offices—please join us! “As of 7 am this morning (April 12), the lake level gage indicates that Pawtuckaway Lake was full and it is now spilling water over the spillways. The spillway elevations at Drowns and Dolloff are 250.4 feet. This is a combined event! Amy Smagula from NH DES will be coming from 9 – 11 for the Weed Watcher portion. We will break for pizza and then Dee Decker, PLIA Lake Host Program Coordinator, will conduct the Lake Host portion of the training. If you are interested in attending the training on April 8, please contact either Steve Soreff, Weed Watcher Co-Chair, SoreffS15@aol.com or tel. 603 568-3202; or Dee Decker, Lake Host Coordinator, deedecker.plia@gmail.com or tel. 603 498-3830. It is important that we get a head count! 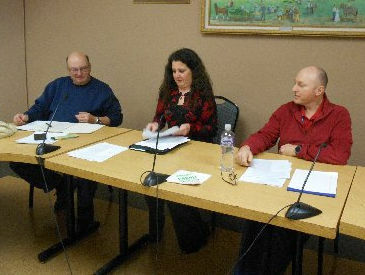 All Lake Host volunteers must attend a local training each year. 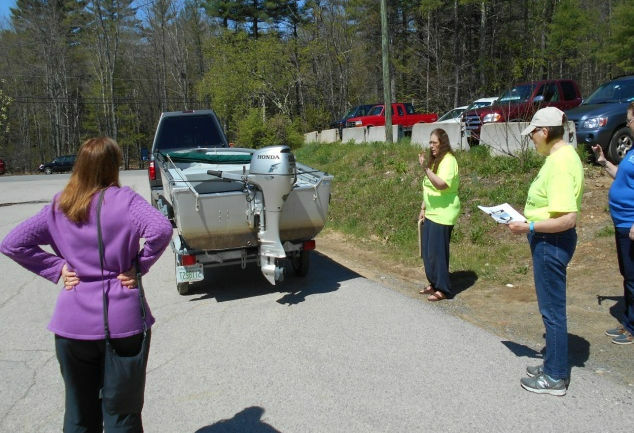 There are also trainings at NH LAKES for Lake Hosts that volunteers are welcome to attend. Here is a link to the trainings. 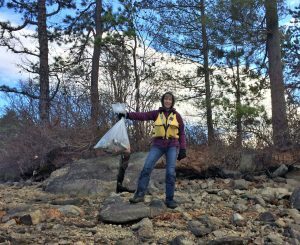 Recently Pawtuckaway Lake Weed Watchers conducted their annual island trash pick-up on the weekend of Saturday December 3 and Sunday December 4. For safety, volunteers don life vests, warm clothing, and waterproof shoes or boots and employ the buddy system because of potential danger in icy waters. This year, the lake level dropped for the winter later in the season than usual. But when the water level is low and before the snow comes, more of the shoreline is exposed, both around the lake front and the islands. That’s the best time to spot and remove some of the debris that has accumulated during the busy summer season. 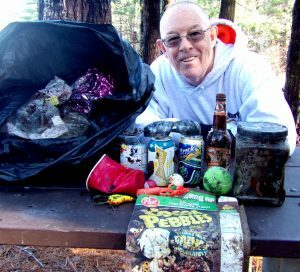 Trash, items that have fallen from watercraft or washed off shores, the remains of fireworks displays, and other recreational items left behind by visitors are more visible when the water is low. In the summer, currents wash this debris to the rocky island perimeters, where it is exposed to view in the late fall and can be collected. 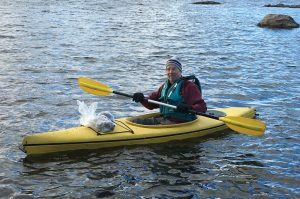 Despite a cold stiff breeze, many of the Weed Watchers braved the elements and picked up trash on and around the islands. 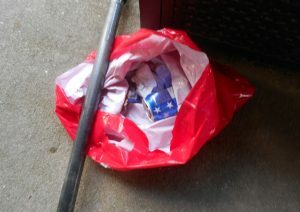 They reported less trash than they removed last year. This annual event represents the PLIA’s commitment to protect and preserve the natural beauty the lake. And, as if on cue, it snowed Monday, December 5, demonstrating that timing is everything. 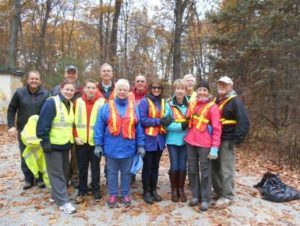 On the crisp, Saturday fall morning of November 5, 2016, members of the PLIA assembled at the telephone substation near Seaman’s Point Road to pick up litter on the highway. 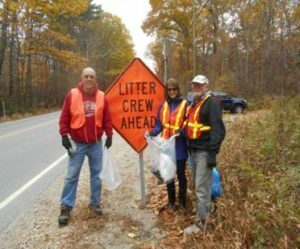 They have adopted and are responsible for cleaning up a stretch of roadway along Route 156, which they do twice a year. PLIA Board member John Morin organized the team and PLIA member Steve White coordinated with the State to support the activity. The White family has its own stretch of Route 156 which it also patrols for cleanup. 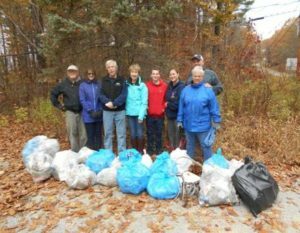 Although the temperatures were frosty, spirits were high as friends and neighbors shared stories of summer adventures as well as plans for the coming winter, all while bagging cans, bottles, and other debris strewn along the road. Community service can be fun! 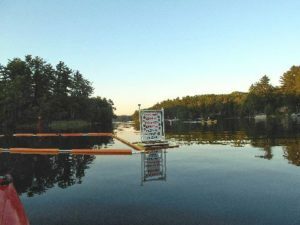 Those who have been following reports from the PLIA are aware that invasive Variable Milfoil has been in the South Channel for the past two summers. Throughout this time, PLIA volunteers have been snorkeling the area to discover new growths, which they have marked so that DES divers can remove them. At one point, a local volunteer certified diver even donated his time to pull a lot of growth in early July. 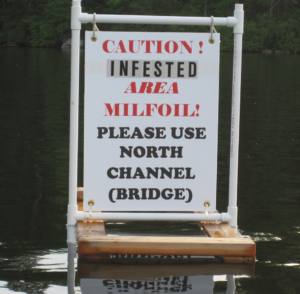 As a result of the infestation, we have sent out notices and placed signs in the South Channel advising boaters to avoid the channel in order to minimize the possibility of fragmenting and spreading the milfoil. Currently, all known Variable Milfoil has been removed from the channel. While it is very likely that the invasive milfoil has not been eradicated completely, the South Channel appears to be clear enough that boating can resume in the South Channel. Consequently, the signs in the South Channel are being removed. In the spring we will resume searching the South Channel area for new infestations of milfoil and will send out notices and place the signs back in the channel if any new milfoil is found. The PLIA would like to thank the people who went out of their way to avoid this area and recognize that their sacrifices and inconveniences played an important role in this effort. As we know, it is impossible to stop all traffic through the South Channel, but we appreciate the efforts made by many boaters to avoid using it. We also appreciate all those who answered our call to spread the word, not the milfoil!